why are you so afraid to commit? It’s hard to commit, I know. In relationships, at work, with family, even what to choose for lunch can be difficult, because we have such a fear of commitment. In all of the areas of our life, we are forced to choose one way or the other. Sometimes we are so scared, we choose badly, or not at all. How do we cope with, and overcome commitment issues? The answer lies in this week’s Torah portion Behar-Bechukosai, where we read about the laws of Shemittah, the Sabbatical. The Torah tells us that every seven years, the land of Israel must be allowed to rest, one may not plant or grow any crop. To a people that relied on agriculture as their primary source of nourishment or sustenance, it was required a tremendous leap of faith, and commitment to observe these laws. Not working the land in the seventh year, meant that even in the 8th year, the land was still fallow. Yet the Jewish people overcame their fears and followed the tradition for centuries. Their courage to take that leap was born from the knowledge that G-d has a plan for each person, one need's only to play their part. Thus a seemingly miraculous phenomenon developed in biblical Israel. Every sixth year of the Shemittah cycle would produce such an abundance of food, it would satisfy their needs for the following two years. The commitment to their faith evoked such a blessing that vanquished any fears they might have had. We too must develop our faith in G-d's plan. We might never be in a position to fully understand every detail in our lives. Nor will we ever be able to control it entirely. Our ability to overcome our fears of and fully commit to each other, our work, our families, and our community, will ultimately decide our success. So the next time you feel yourself stepping up to the edge in your life, afraid of what the future may hold, ask yourself one question, is this part of G-d's plan? If the answer is yes, have faith, leap forward, and commit, you'll be happy you did. 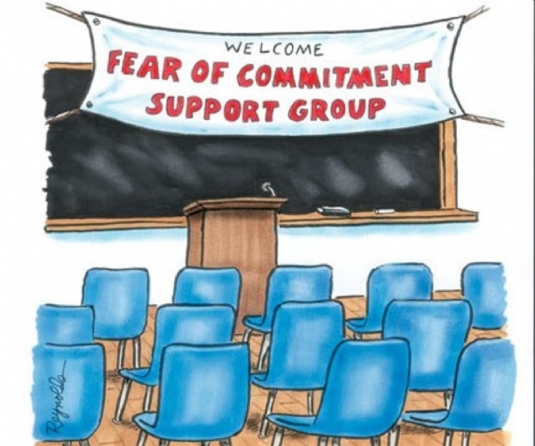 Mission: Where in your life has fear of commitment held you back? Think of that next step you need to take, is it part of G-d's plan or an aberration? If yes, don't get held up by your lack of total understanding, leap forward and see the results. She says "he doesn’t listen to me", he says "but I do what she tells me to do". Can they both be right? This question plagues many relationships, some between males and females, and some where the roles are reversed. The answer lies in this week’s Torah portion Yisro, where we recount the giving of the Ten Commandments on Mt. Sinai. There we read that the Jewish people accepted the Torah by saying “we will do, and we will listen”. The giving of the Ten Commandments is an example of a relationship being formed, in this case it’s the Jewish people and G-d, but the same can be applied to any relationship. They require both doing and listening. While it is true that action speaks loudest, and fulfilling the desires of another is the building blocks for any relationship. Listening is how we take the relationship to the next level. When one person talks, they are revealing themselves to the other. If the recipient truly opens themselves up, not only hearing but listening to what their partner is saying, then the communication can help one learn more about the another, that they may grow more deeply connected. This is the value of “doing” and “listening”. 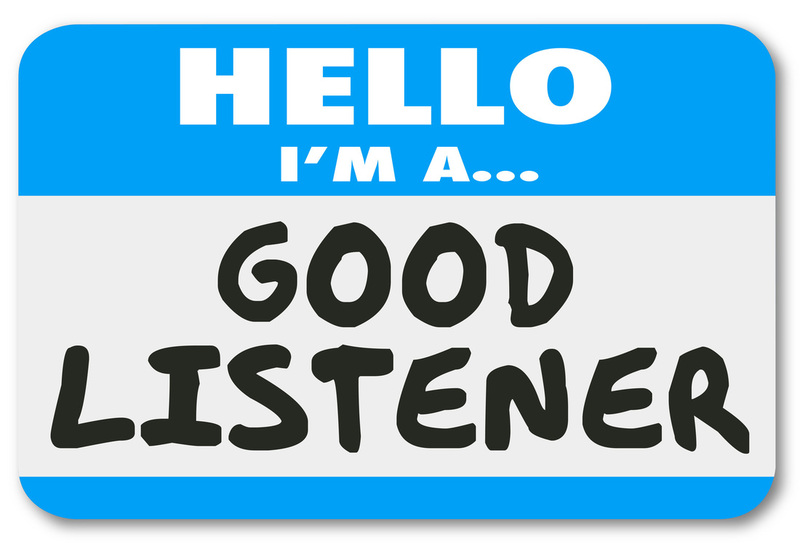 Yes, you might be good and getting things done, but if you don’t take the time to listen, you will never truly connect with another person. To listen fully is not easy, it requires clearing our minds, to make room for another’s perspective. Yet the effort it requires is worth it, as only then can we truly come to know one another, and fully connect as human beings. Mission: Think of your friends and family, those closest to you. Do you fully listen when they speak? Do you find yourself struggling to make sense of their actions? Are you mind to listen to them, and you’ll come to know them better then ever before. You care about the future of the Jewish people, right? You want to make sure that our tradition continues to be celebrated, and that people feel connected to their faith and heritage. Yet, the numbers scarily predict our demise, as so many of our people are falling out of Jewish practice, and eventually even Jewish identity. In this week’s Torah portion Vaeira, we read about Moshe’s frustrations, and concerns that the Jewish people wouldn't listen to him. As his initial conversations with Pharaoh backfired, and the Jewish slaves were made to create their own bricks, while keeping the same quota. G-d tells Moshe that he must tell the Jewish people, that the end of their slavery and suffering will come very soon, Moshe tries to convey the message, but reports back to G-d that the Israelites won’t listen to him, "because their spirit was broken and because the labor was harsh.” It wasn’t Moshe’s fault that their faith was weak, that they lacked confidence and trust that G-d was going to redeem them. Rather a people who were physically broken, impoverished, ostracized, enslaved, can’t thing about spiritual pursuit until they’re physical needs are met, until they are shown that someone cares about their personal wellbeing, only then can they focus on their spiritual growth, their connection to G-d. This is the model we need to follow today, in our goal of reconnecting our brothers and sisters to their Jewish roots. We must first show them care and concern, as an individual. We must love and accept them for who they are. Once that bond is established, only then can we work to reenergize their passion for Jewish life, by showing them the joy it entails. It’s time we reach out like Moshe, and recognize the pain and hurt many of our brethren face every single day. Let us turn to one another, offering a helping hand, a gentle touch, and a warm smile. Once connected we can then all rise together in celebration of our Jewish life. Mission: Consider someone you know, who lacks a support system in the Jewish community, maybe they’re unaffiliated or have special circumstances. Reach out and enquire how you can help, with no string attached. Build the bridge, then walk them over and re-connect them. The word Torah means guide. it is the manual for life. Learn it, explore it, cherish it, and it will illuminate your path forward, through the twists and turns of human experience.